Did CVS Refill Prescriptions Without Permission? We've all had the experience of signing up for a credit report, anti-virus tool or "free sample" of some useless product, only to find the charge shows up every month on our credit card. Now consumers in California and elsewhere are complaining that the same thing is happening with their CVS prescriptions -- the prescriptions are being refilled without their permission. The allegations came to light in a series of articles by Los Angeles Times consumer reporter David Lazarus. One of the consumers Lazarus found, George Engelke, 76, was on vacation in Montana when he had a CVS store there fill two prescriptions. After returning to California, Engelke was puzzled when the Montana CVS called and said they'd sent refills of the two prescriptions to his vacation address in Montana. A mistake? Doesn't seem likely to Engelke. "It seems like a blatant attempt to sell more medicine and charge the insurance company for it," Engelke said. Since his first story appeared, Lazarus has heard similar complaints from dozens of CVS customers in California and elsewhere. He also came across some confidential emails from a CVS supervisor in New Jersey instructing pharmacists there to refill prescriptions and submit claims to insurers without consumers' approval. CVS admitted the emails were sent but said they were an error by the supervisor and claimed the emails only went to East Coast pharmacies, which could explain why Maricar of Bellerose Manor, NY, wrote to us last month about her experience with CVS. Maricar said her local pharmacy closed and sent her prescriptions to a nearby CVS. She, however, chose to take her business to a different pharmacy, only to encounter difficulties getting her prescriptions filled a few months later because the insurance company said they had already been filled. "I called the insurance to learn that CVS filled it without my authorization. First and foremost, why are they filling a prescription without my asking them to? Is this legal? Second, what are they doing with said prescription since I didn't ask for it to be filled?" Maricar asked. CVS insists the company does not condone such practices. "It is not our policy to refill prescriptions without a patient's authorization," CVS spokesman Mike DeAngelis told the Times. Nevertheless, complaints about refills are piling up. Lori of Waukesha, Wis., found it hard to cancel her refill, as she recounted in an April ConsumerAffairs posting. "I asked my CVS pharmacy to cancel an automatic refill. When I went in for another prescription, the pharmacist added the cancelled refill to my total," she said. "Being sick, I didn't hear him and just thought I was getting the two items prescribed for a viral infection. Having opened the bag at home, noticing the mistake and calling them back, he told me they couldn't take it back even though refill bag was still sealed. This was their mistake not mine and now I have a prescription I don't want and it's costly." 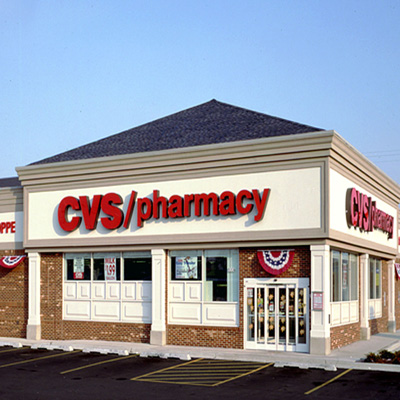 In the latest development, the Times reports today that the U.S. Justice Department's civil fraud division is investigating claims that CVS Caremark wrongly refilled prescriptions and billed insurers without the knowledge or the approval of its customers. The probe is likely to focus primarily on allegations of Medicare fraud. State agencies may also become involved in the investigations.